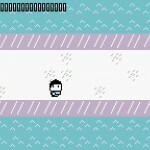 Defense Action Pixel Newgrounds Click to find more games like this. 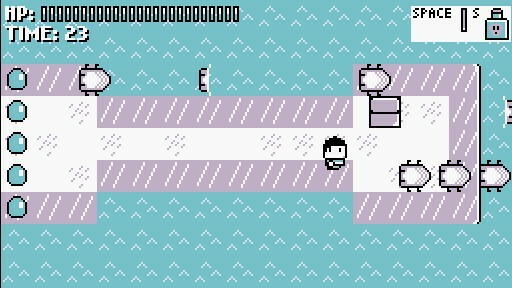 They Came From The Sea is a well put together mini game that reminds me greatly of the early Nintendo Gameboy games such as Pokemon and Zelda. 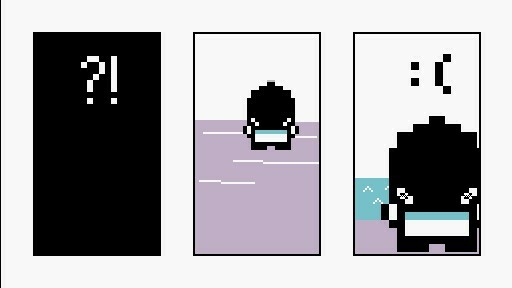 This game however has you protecting a bunch of eggs from strange creatures that are coming from the sea, with your only task to prevent the eggs getting eaten by these creatures. 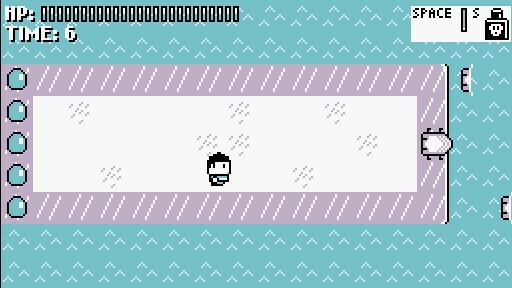 The game starts out quite easy with you just having to protect the eggs from a few of these sea creatures. However it is not long before you must protect the eggs from all manner of creatures that are coming from the sea. The game mechanics are quite simple as you just have the arrow keys, space, and S which give you all the utility you need to defend these eggs. Space will use your sword to slash at these creatures and help you protect the eggs from these sea creatures, but don’t let them get too close or else your HP will take a beating. 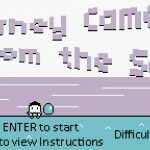 They Came From The Sea is a fantastically simple game with some great retro graphics and great music. 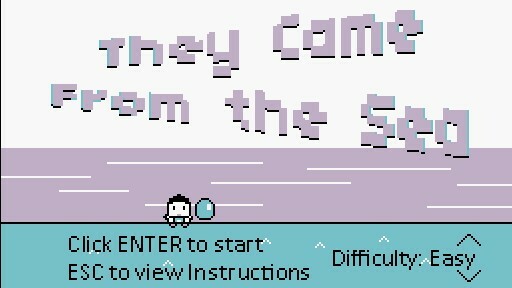 Everything comes together well in this fantastic little arcade game.